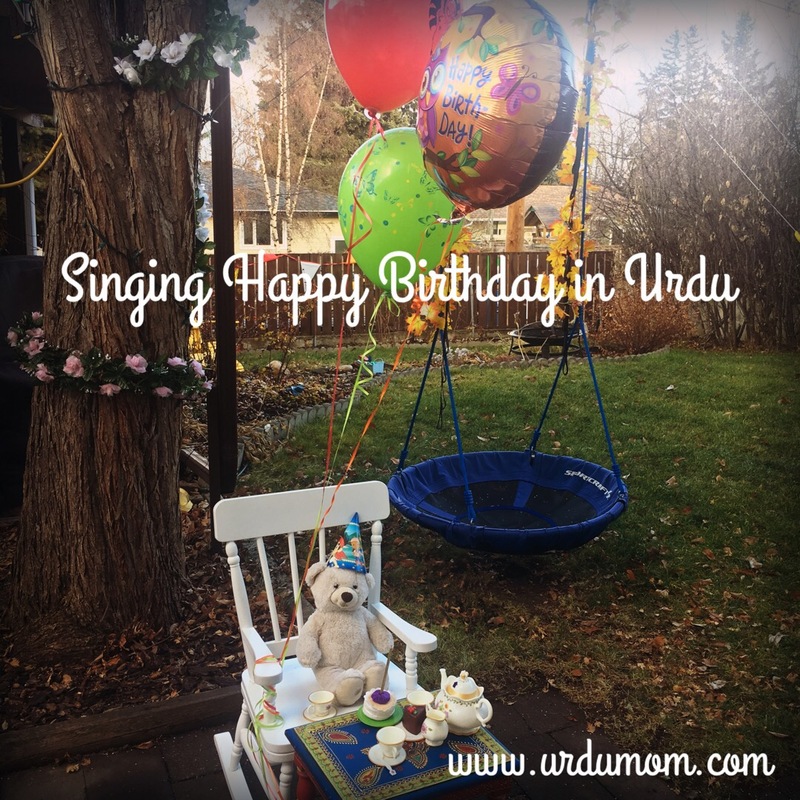 Singing Happy Birthday in Urdu: Learn Two Fun Ways to Do it! The “Happy Birthday” song is one of the most popular and well-recognized songs in the world. Do you know how to sing Happy Birthday in Urdu? A few years ago I was invited to my daughter’s preschool for her birthday celebration in the classroom. The children knew how to sing the birthday song in English, Spanish and French. One of the teachers was from Italy and sang the birthday song in Italian and a young boy who knew the language proudly joined her. She then turned to me and asked if I would like to sing the “Pakistani” version of “Happy Birthday”. I was stumped. I have since found an answer…actually two! Here are two songs in urdu that you can sing to wish a happy birthday or “Salgirah Mubarik”. Above is a video of my daughter and I celebrating Bhalu’s birthday and singing the two songs on our YouTube channel. Enthusiasm is key when you sing with young children and to give them confidence in their mother tongue! (You can also add the birthday boy/girl’s name in the song). The second birthday song can be used on any happy occasion but especially on birthdays and is a lovely way to wish Happy Birthday in Urdu! Do let me know if you enjoyed these songs! Do join loudly next time you’re asked to sing Happy Birthday in Urdu! I have written earlier about birthdays and how to bring Urdu into our celebrations, do read that post too!